Summer is here! FGO Part 2! 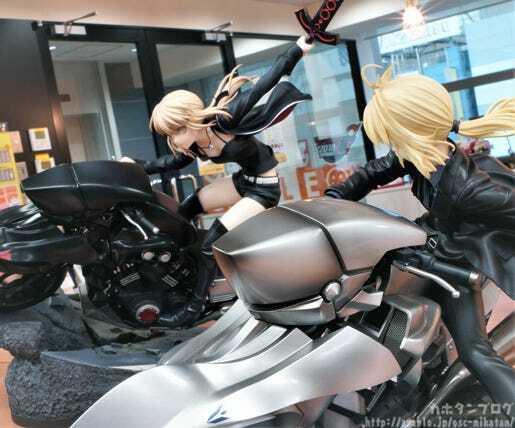 The upcoming WonFes & FGOFes! So many things to look forward to!! 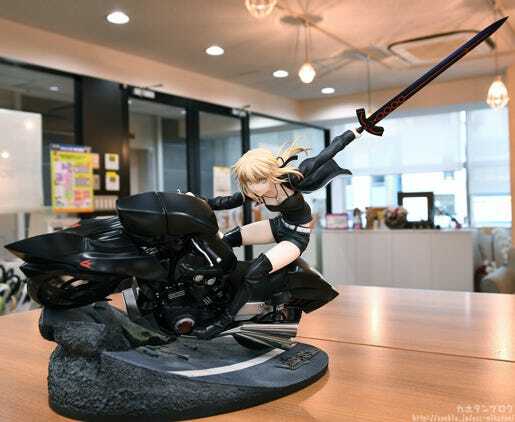 At long last this figure of Saber/Altria Pendragon on her motorbike has been fully painted and is ready for preorders to open!! 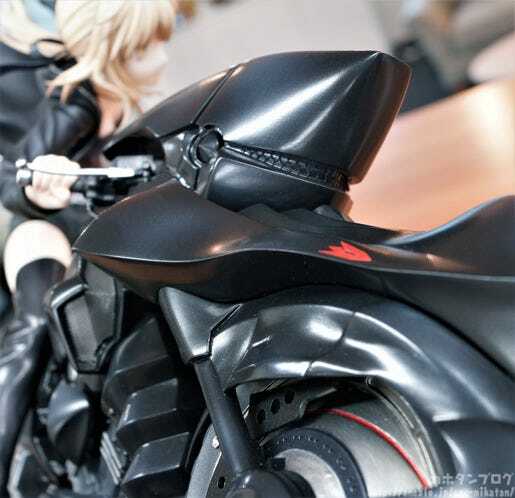 The outfit she is wearing for this figure is based on the outfit seen in the “Singularity Subspecies I: Malignant Quarantined Demonic Realm: Shinjuku Phantom Incident” act – a more modern day casual outfit that suits the motorbike look so perfectly! So gallant! So confident! Those eyes are perfect!! Also note the details of the way her hair is blowing back in the wind, and the swaying appearance of her necklace! 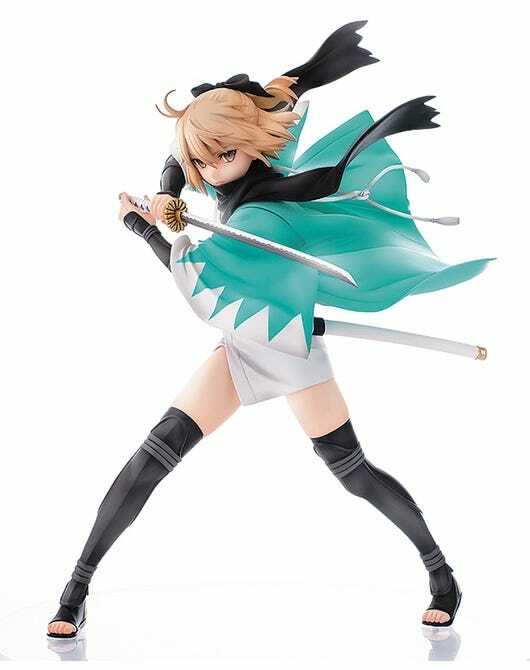 The figure really sets the scene in Shinjuku as she prepares for battle against some formidable foes! 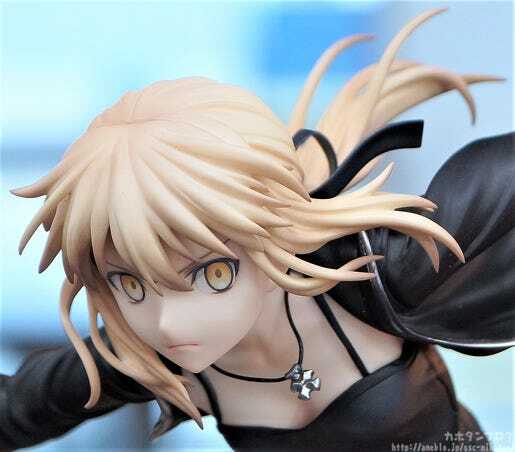 The modern outfit gives a rare look at Saber Alter’s lovely thighs, and the camisole top blowing about in the wind also provides a little peek at her waist! 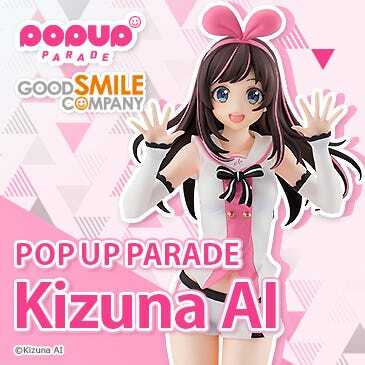 The outfit is fairly simple yet the attention to detail is exquisite – and the bare parts that show off her porcelain skin look so smooth and beautifully curved. An important thing to note about the outfit is the use of color!! While there are mostly only monotone colors, the white of the belt and the red of the lining of her jacket create some lovely contrast! Plus more than anything, the use of blacks is incredible! They are all black, but they are different shades of black that blend together so beautifully! 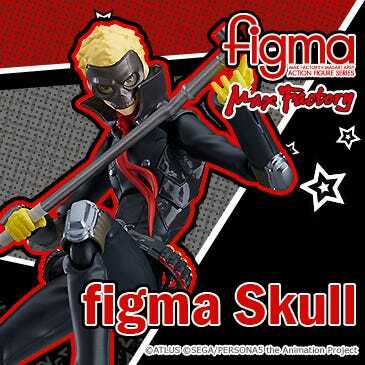 The amount of gloss or matte has also been very carefully balanced to differentiate the different textures of the figure to really bring out that realistic appearance! You can just imagine the roar of the V4 engine! The profound sculpt of the Cuirassier Noir is once again enhanced by the use of blacks, but also through the use of shadows! 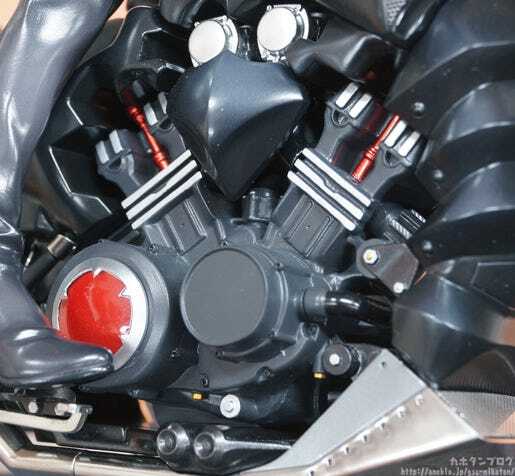 The left and right side of the figure may be the same bike, but they are painted with slightly different colors to capture the effect of light and shadow on the figure! The headlights look like a knight’s armor… the crests on the front fender and the lines on the wheels add a touch of red that brings out the black even more! ▲ A close-up on the back tire. 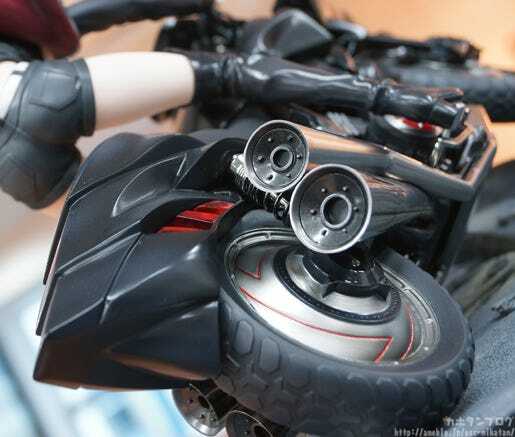 The muffler, suspension and the tail lights have all been captured with such incredible detail! 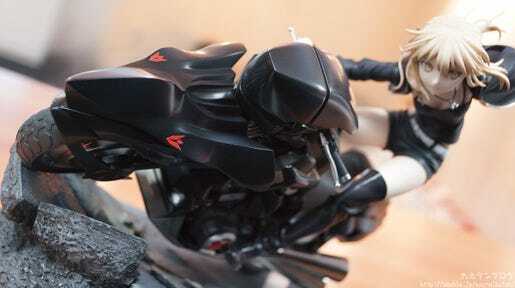 The motorbike itself is of outstanding quality and could easily be a display model all on its own! 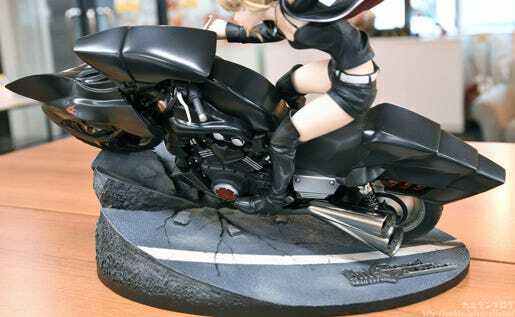 As with most of the Fate scale figures, the figure comes with an oval base, but the base is also sculpted and painted to look like a damaged concrete road to bring out the atmosphere even more! 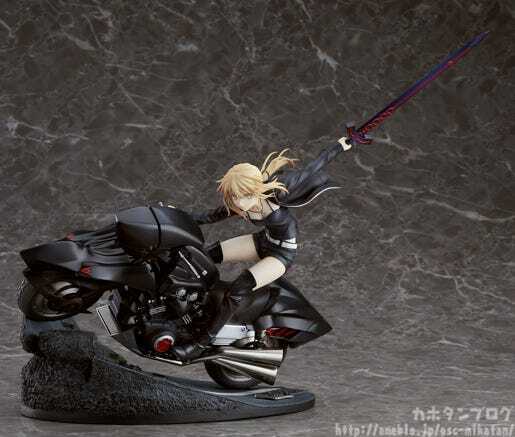 ■ Fate Related Item Reminders! 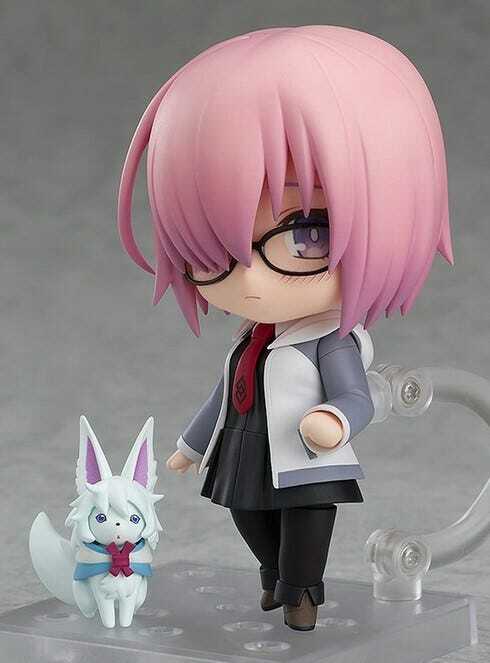 ・Nendoroid Shielder/Mash Kyrielight: Casual ver. 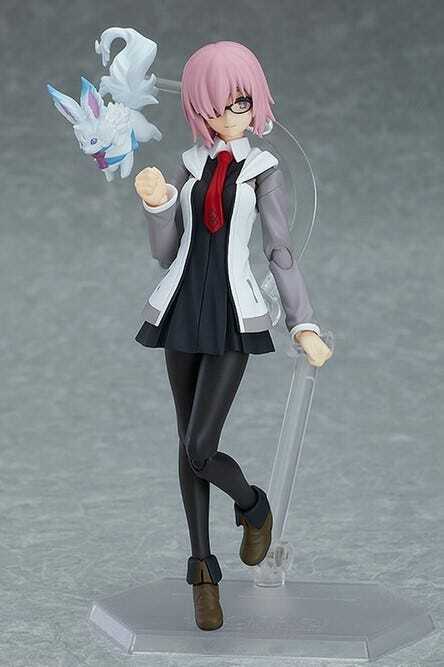 ・figma Shielder/Mash Kyrielight: Casual ver. 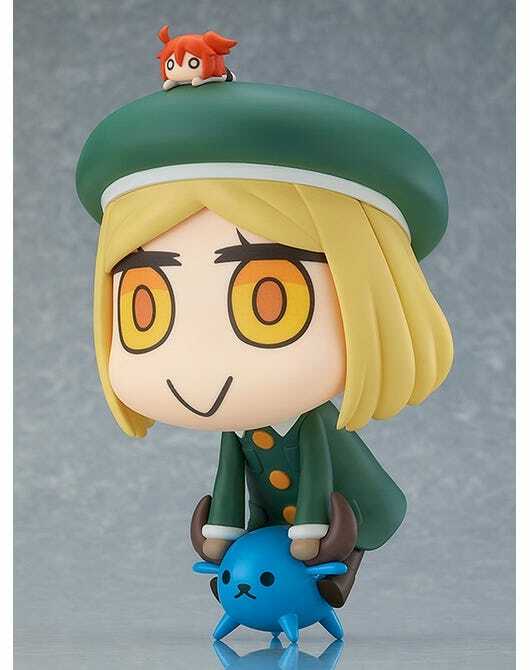 These will be on sale at WonFes and FGO Fes! 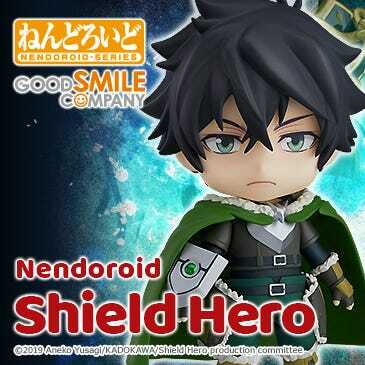 They will be available at the GOODSMILE ONLINE SHOP thereafter as well! 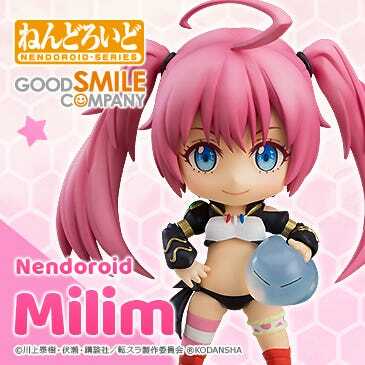 Orders from the GOODSMILE ONLINE SHOP will be open from the 29th July at 16:00JST! ・Berserker/Paul Bunyan: Learning with Manga! 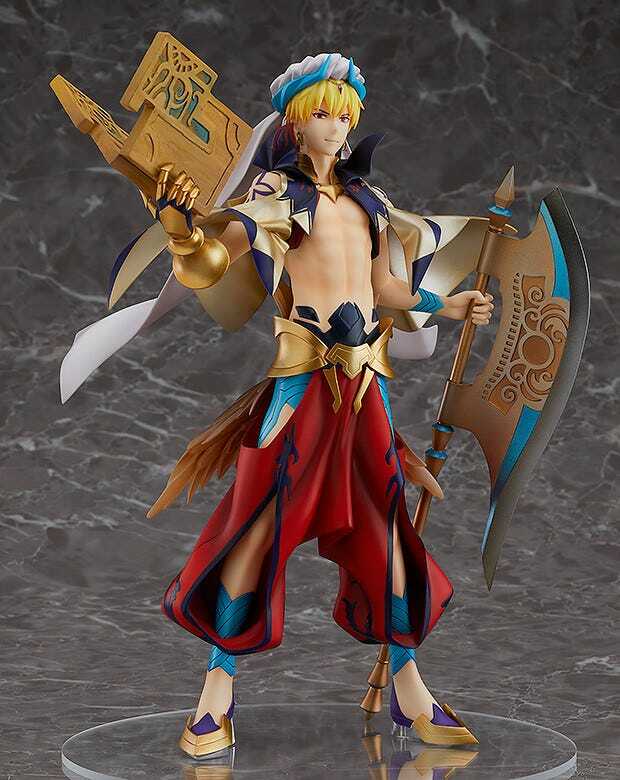 Fate/Grand Order ver. 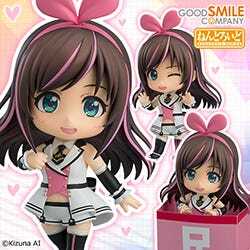 Preorders open until the 2nd August 2018 at 12:00JST! 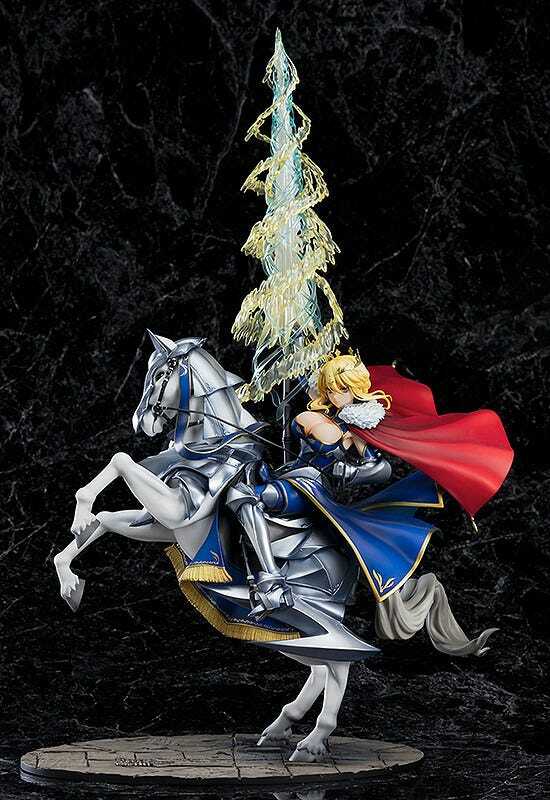 Preorders open until the 23rd August 2018 at 12:00JST! 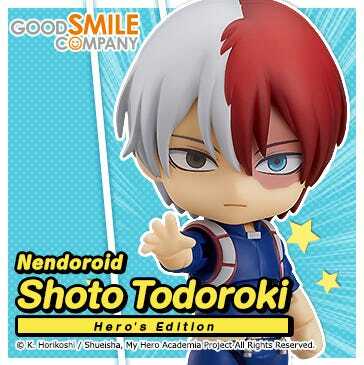 Preorders open until the 30th August 2018 at 12:00JST! 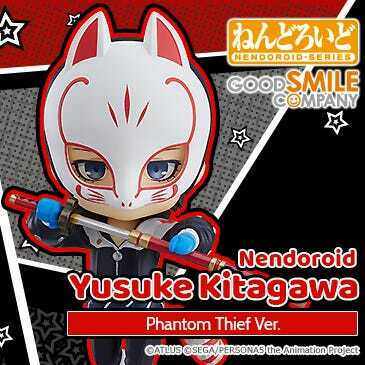 Preorders open until the 13th September 2018 at 12:00JST! Those who want to summon these servants to your side be sure to preorder! They are all made to order!! Anyway, that’s all for today! Thanks for reading! They contrast so well! Be sure to display them together! !